2eren har sine øjeblikke, men det er stadig langt fra en god film. 3eren er bæ. Well the cat (or alien, in this case) is out of the bag. Due to some recently unplanned leaks on various outlets we are moving up our reveal that we are planning a Collector's Edition of the 1995 original sci-fi hit SPECIES for sometime this Summer! No details to provide at the moment but we update you in the upcoming months. De har sgu en spøjs udgivelsesstrategi. - Official release date is scheduled for June 20th . 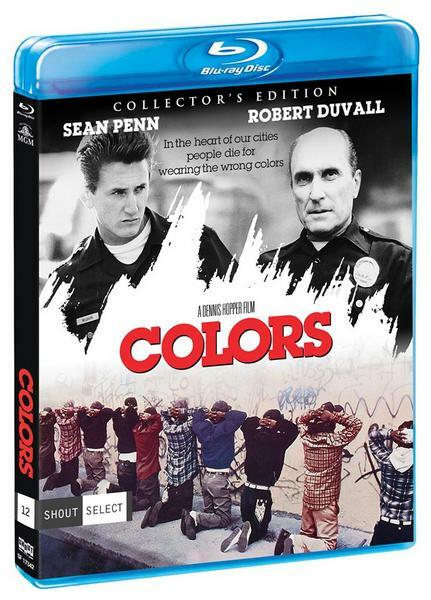 This is a Blu-ray Premiere in the U.S. and Canada. - This 2-Disc Set will branded as a "Collector's Edition" that will come with a slipcover (guaranteed only for three months after its original release date). - The newly-commissioned front-facing artwork you see pictured comes to us from Joel Robinson (Tales from the Hood, Texas Chainsaw 2, Black Christmas) The reverse side of the wraps will showcase the original theatrical poster art. - Bonus features and specs are still in progress and will be announced sometime in Late April / May. Our goal is to include both the theatrical and Director’s Cuts of the film and will confirm that then as well. 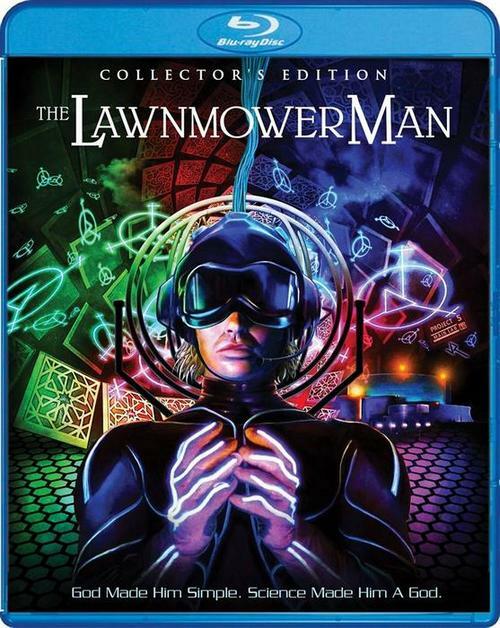 - Pre-order now directly from our website @ https://www.shoutfactory.com/film/film- ... -s-edition which includes shipping two weeks early plus a free ROLLED (yes, you read that right) 18” x 24” poster of the newly-designed key art while supplies last! 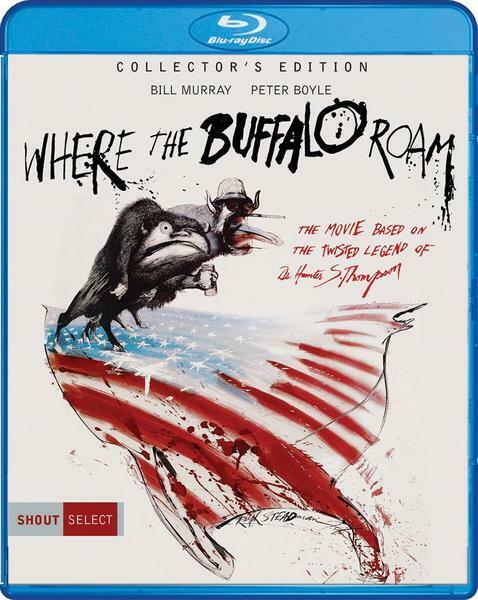 We're very excited to announce the release of Where The Buffalo Roam (Collector's Edition) on Blu-ray this June! Extras in progress and will be announced at a later date. Are you ready to start off 2017's Shout Select releases with Colors (Collector's Edition)? Which Select releases are you planning to get so far this year? - The Unrated Cut Of The Film, Including Footage Restored From The International Cut And The Original Home Video Cut. - "A Cry Of Alarm" – An Interview With Screenwriter Michael Schiffer. - "Cops And Robbers" – An Interview With Technical Advisor/Ex-L.A.P.D. Gang Division Dennis Fanning. If you're a fan of this 1999 sci-fi shocker (starring Jamie Lee Curtis) then you're in a lot of luck as an impressive amount of extras ended up coming in on our release. We have a surprise reveal today: THE PAUL NASCHY COLLECTION– A 5-Disc Blu-ray Set featuring several films from the Spanish horror legend Paul Naschy – is scheduled for a June 20th Release date! Wow et Naschy-boxset. Haps. Haps. Der har vist også været noget snak fra Arrow om at udgive Naschy-titler i år. Ja det må man sige. Det er godt nok all over the place, men jeg klager ikke. Fedt, at få nogle glemte titler frem i lyset igen. - Official release date is scheduled for July 11th. - The newly-commissioned front-facing artwork you see pictured comes to us from The CRP Group (Firestarter, Serial Mom, Rabid) The reverse side of the wraps will showcase the original theatrical poster art. - We will be doing a new 4K HD film transfer. Bonus features and specs are still in progress and will be announced sometime in Late May. which includes shipping two weeks early plus a free rolled 18” x 24” poster of the newly-designed key art while supplies last! - This will branded as a "Collector's Edition" that will come with a slipcover (guaranteed only for three months after its original release date). - The Director-approved, newly-commissioned front-facing artwork you see pictured comes to us from artist Justin Osbourn (Lifeforce, Prince of Darkness, The People Under the Stairs) and is arguably one of our most over-the-top designs yet! The reverse side of the wraps will showcase the original theatrical poster art. - Bonus features and specs are still in progress and will be announced sometime in Late May. - Pre-order now directly from our website @ https://goo.gl/LchNvR which includes shipping two weeks early plus a free rolled 18” x 24” poster of the newly-designed key art while supplies last! 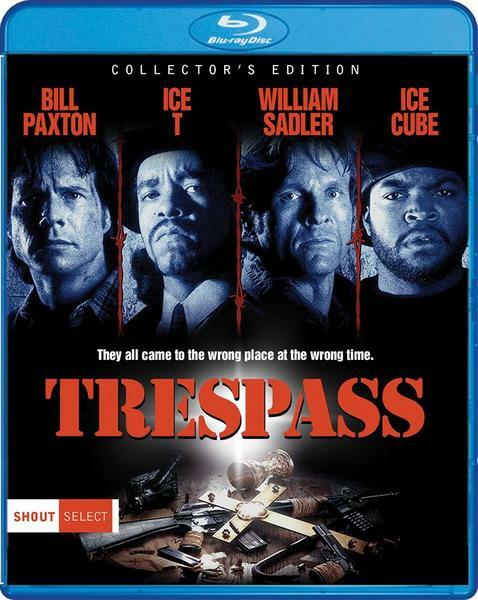 We are very excited to announce that our upcoming release of Trespass has been updated to a Collector's Edition! Below you will find the final list of bonus features. Out June 27, you can pre-order now at: http://bit.ly/TrespassCollector. - Vintage Featurette: "Behind The Scenes Of Trespass"
Bill Paxton passed away after I filmed these interviews for this edition. I was scheduled to interview Paxton, too, but he had to go into surgery (then passed away).